With a stay at Hotel Bellevue Wiesen in Wiesen, you'll be near ski lifts, steps from Swiss Alps and a 5-minute drive from Davos Klosters. 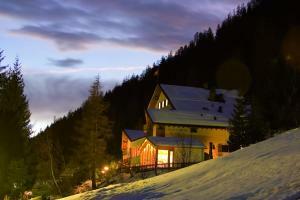 This ski hotel is 13.9 mi (22.3 km) from Lenzerheide Ski Resort and 5.9 mi (9.5 km) from Rinerhornbahn Gondola. Make yourself at home in one of the 22 guestrooms. Complimentary wireless Internet access is available to keep you connected. Private bathrooms with showers feature complimentary toiletries and hair dryers. Conveniences include desks and complimentary bottled water, as well as phones with free local calls. Take in the views from a terrace and a garden and make use of amenities such as complimentary wireless Internet access. Additional features at this hotel include concierge services and ski storage. You'll be on the slopes in no time with the complimentary ski shuttle. Satisfy your appetite for lunch or dinner at Restaurant 1873, a restaurant which specializes in local cuisine, or stay in and take advantage of the room service (during limited hours). Quench your thirst with your favorite drink at the bar/lounge. A complimentary buffet breakfast is served daily from 8 AM to 10 AM. Featured amenities include complimentary newspapers in the lobby, dry cleaning/laundry services, and multilingual staff. A roundtrip airport shuttle is provided for a surcharge (available on request), and free self parking is available onsite. 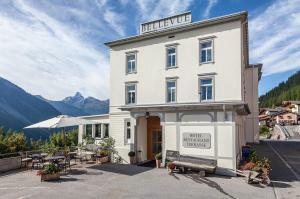 When would you like to stay at Hotel Bellevue Wiesen ? Each day we'll check prices and send you an email for your selected dates at Hotel Bellevue Wiesen. If you don't have specific dates but would like to check prices for say next weekend or say next month we can check the price too. Click to write a review and share your experience of Hotel Bellevue Wiesen with other travellers.